Hana just got her new MacBook. 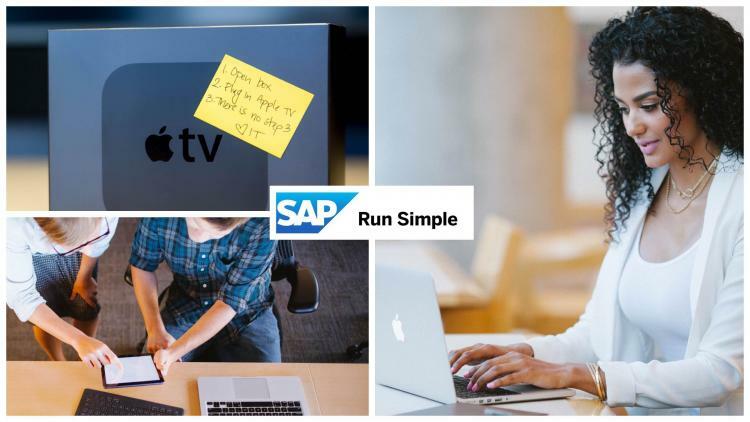 She powers it on, the Assistant app guides her through the setup process and voila, her MacBook is ready for use with all the apps SAP employees need installed. “Now that was easy!” Hana smiles. This is a swift process that allows Hana to go from zero to full productivity in minutes — and she is not the only one empowered with this method. There are 12,500 other Macs at SAP using the same streamlined and automated management system. SAP IT focuses on enabling its employees to be productive anywhere by delivering innovative cloud and mobile technology. Apple products have proven to be an excellent fit by offering a broad variety of models and seamless connection between computers and mobile devices. With the Apple and SAP partnership in place, SAP is providing its employees with not only Macs, but 58,000 iPhones and 21,000 iPads as well. Next, SAP is expanding its adoption of Apple TVs for conference rooms, building upon an already thriving Apple ecosystem. This is in large part due to the new mobile device management (MDM) and Device Enrollment Program (DEP) capabilities now available with tvOS 10.2 and fourth-generation Apple TV devices. See this process in action. With so many devices to deploy, manage and secure, the Mac CoE team at SAP counts on the gold standard for Apple device management to make their program a success — Jamf Pro. When Hana powered on her Mac, Jamf Pro ensured she got the configurations and apps that are right for her and her machine. All the apps — in-house and third-party — as well as any configurations she would need are packaged in Jamf Self Service. Self Service is a centralized portal where IT populates apps, e-books and other resources that users may need. Users are then able to download and access the items on demand — all without contacting IT. One thing we’ve done at SAP is link to the Mac@SAP community from within Self Service. The community, hosted by SAP Jam, an internal SAP product, offers an extensive Knowledge Base on everything Mac-related. Mac@SAP is an active community where Mac admins and users share their love for the Mac, inform each other of updates and help resolve issues for one another — not unlike Jamf’s own Jamf Nation. In the Mac CoE team, we have our eyes set on developing a mobile-focused service to help every Mac user at SAP get the most out of their Mac. To achieve this, we combine automated procedures, in-house apps, an active community and an agile release process. We attribute much of our success to our user-centric mindset, which empowers us to design Mac@SAP as a streamlined experience, resulting in happy end users. To learn more about the benefits of a user-centric mindset and see how you can leverage the entire Apple ecosystem for the best IT and user experience, check out this recent e-book from Jamf.